If you’re a fan of Christmas and all the joy and tinsel it brings, did you know you can celebrate the season all year around, in the heart of Finnish Lapland? 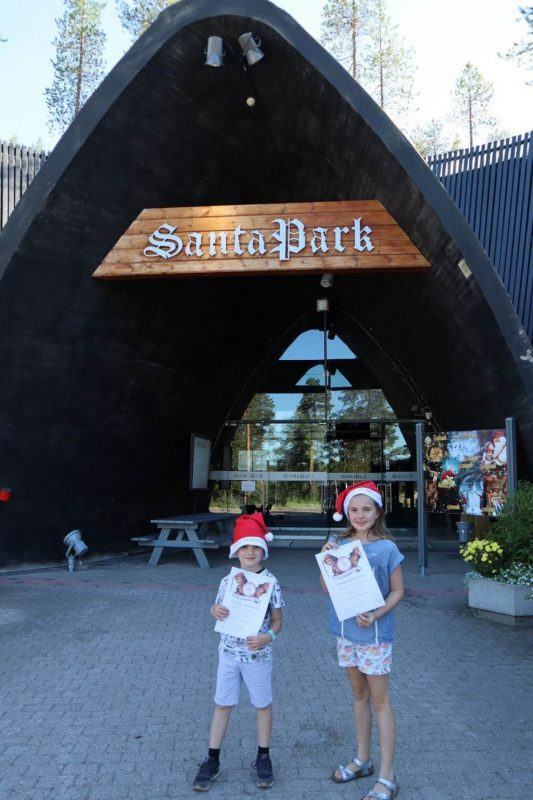 Santa Park Arctic World is a fabulous Christmas theme park and we were so happy to visit – in the midst of an Arctic Circle heatwave! Here’s our review of Santa Park Arctic World. 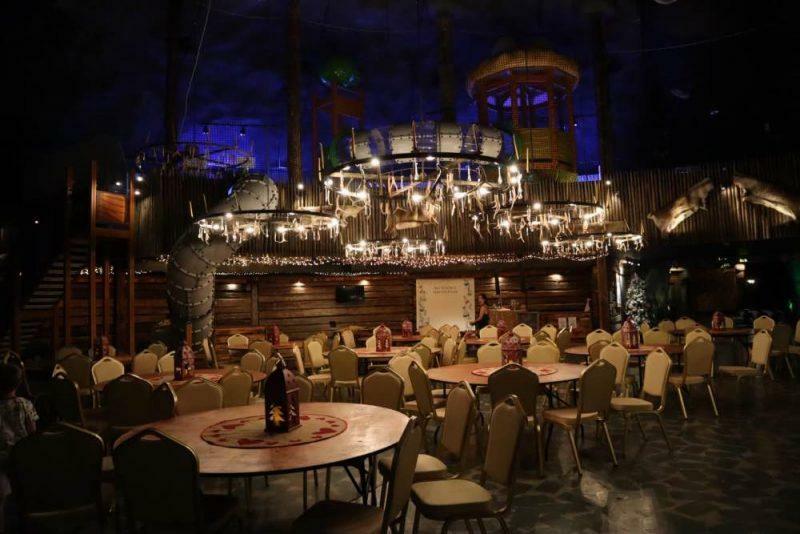 Santa Park is the home cavern of Santa Claus and the park is located in the town of Rovaniemi in Lapland, Finland – literally right on the Arctic Circle. 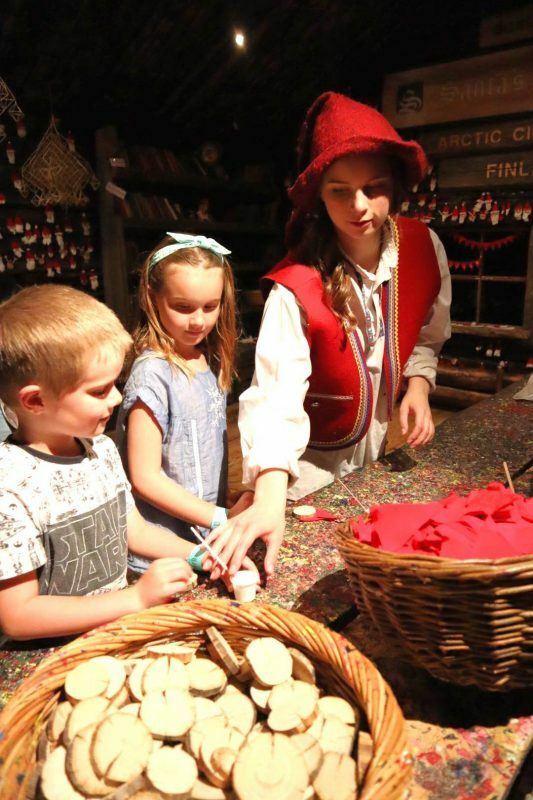 Rovaniemi is known as the “official home of Santa Claus” and is home to all things Christmas. It’s actually the largest city in Europe – but only has 60,000 residents with the majority of the city covered in forest! The park opened in 1998. 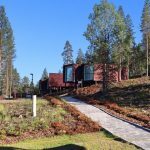 Santa Park is located right next door to the stunning Arctic Treehouse Hotel – one of the best hotels in Lapland, and has the same owners. Santa Park is open for both winter and summer seasons and it’s best to check on their website for exact opening days and hours. 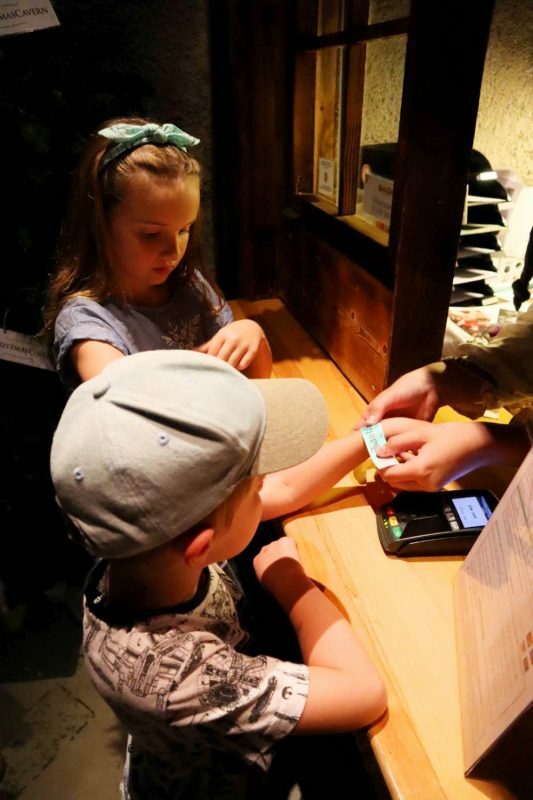 Tickets in the summer months cost 17.50 euro for adults and 15 euro for children (aged 3-12 years), or you can purchase a family ticket (2 adults and 2 children for 55 euro or 2 adults and 4 children for 75 euro). The tickets allow you entry to the park for two days. It also pays to look online as they had specials at the time we visited for online bookings. Santa Park Arctic World is actually located underground, and from the entrance you walk down to the ticket booth to get your wristband pass, then down another long tunnel into the park itself. It really helps to set the scene for the magical-like world you’re about to enter. Santa Park Arctic World is operated by elves – and the staff go to a lot of effort to portray their elfish selves. They’re all dressed as elves, speak like elves (think cute voices) and many of them even have elf noses! (kudos to whoever made those prosthetics). It’s enough to convince even the most cynical of kids that this really is Santa’s land. 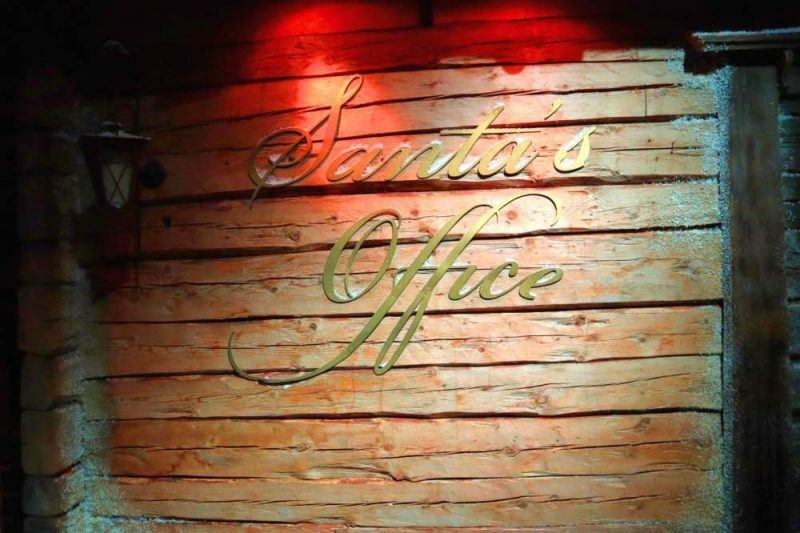 So this is where you’ll meet the big man himself, it’s where his office is located and you can go inside and visit him. Meeting the REAL Santa Claus! Santa will ask you where you’re from and what you would like for Christmas and you can also ask him any question you like (cue: how do you make it to New Zealand and back in one night? from our curious kids…) – but don’t worry he’s got it all thought out. Being magic, he also speaks a few languages. 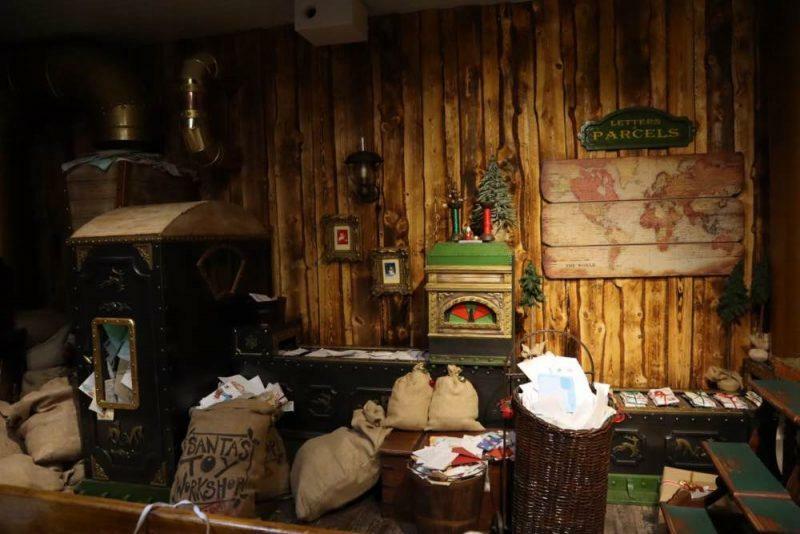 Inside Santa’s office where he keeps his ‘naughty and nice’ lists! 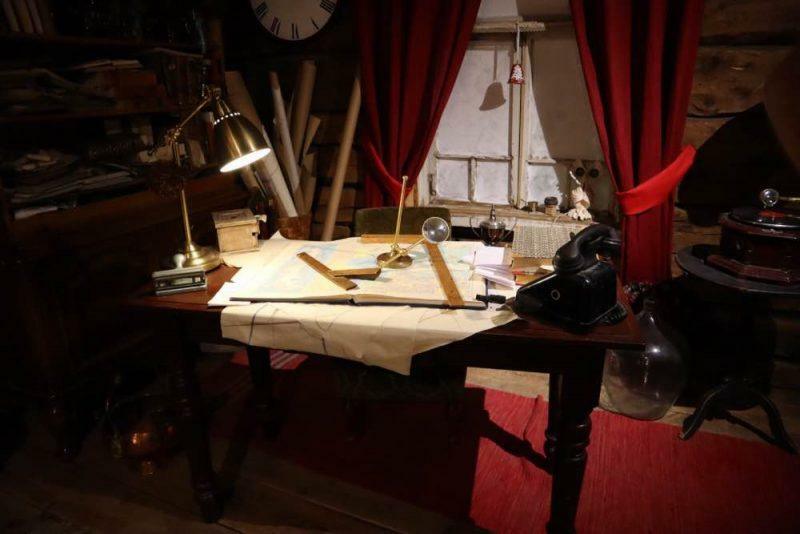 Santa will also tell you about his office – showing you where the naughty and nice lists are, and the navigational equipment he uses to plot his course across the world. You can then have a photo taken with him – optional to purchase and with different options and packages available. Expect to pay upwards of 20 euro for the cheapest photo that captures the magic moment. 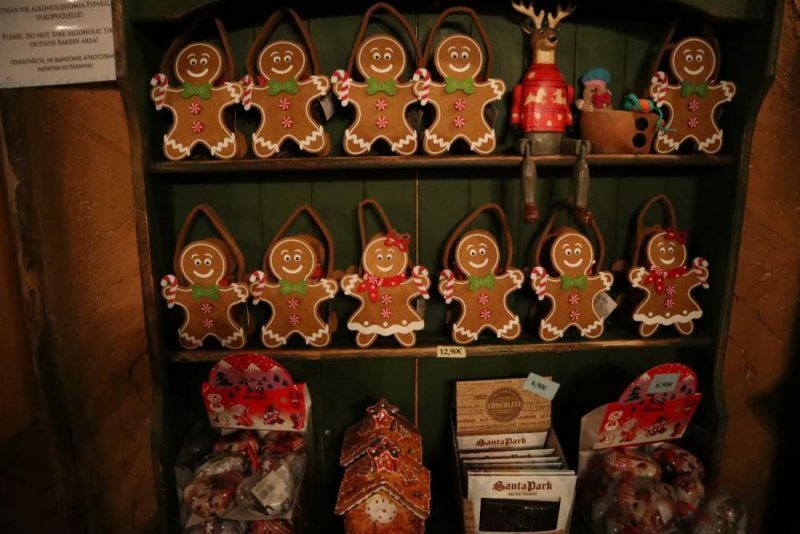 You can’t help but be enticed by the delicious smells coming from Mrs Gingerbread’s House! 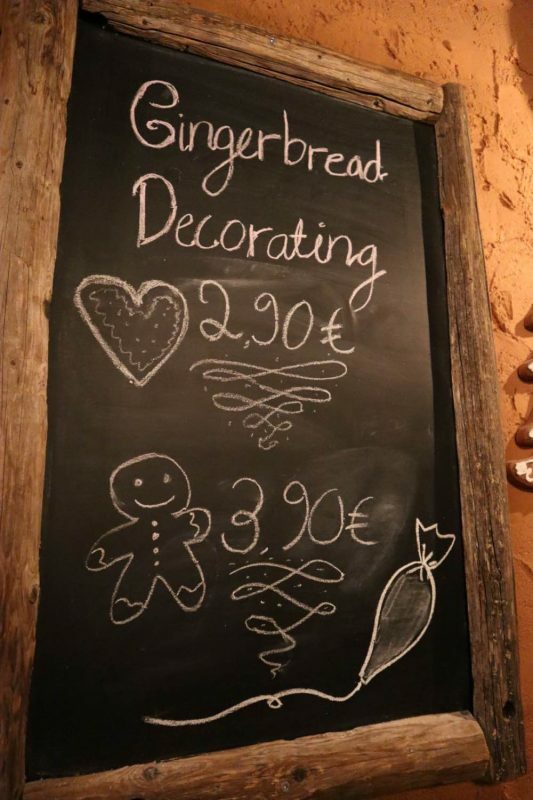 It’s a beautifully decorated room, where you can decorate a heart-shaped gingerbread cookie for 2.90 euro or a gingerbread man for 3.90. 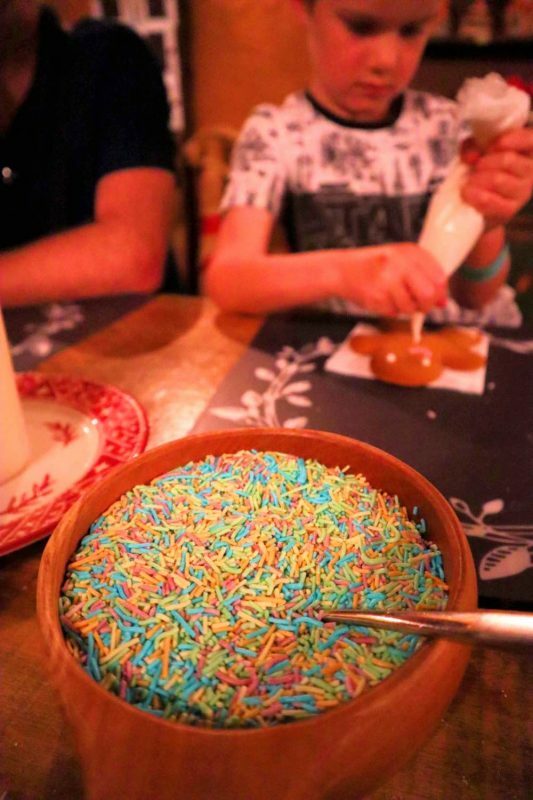 Icing and sprinkles are provided, along with coffee or slightly stronger mulled wine for parents to relax! Our kids really enjoyed making their cookie. 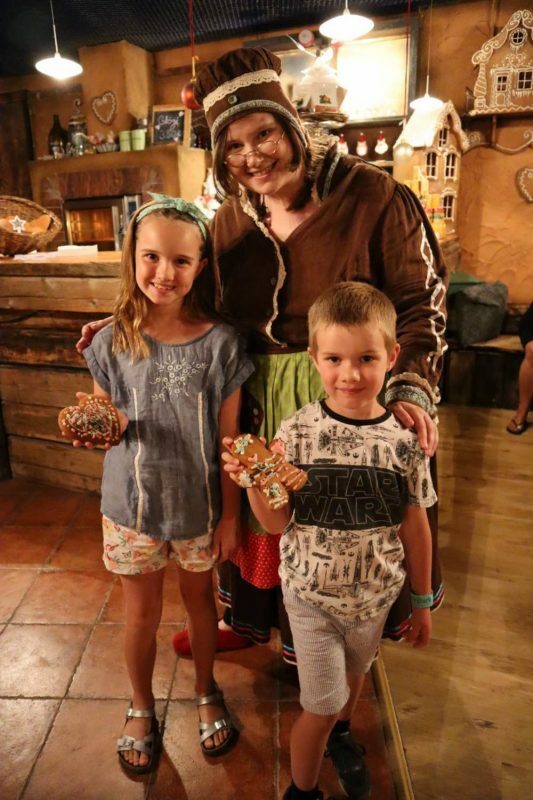 They couldn’t wait to sample their work and I tried a little too – and the gingerbread was absolutely delicious. Mrs Gingerbread kindly asked if I would like her recipe, I will definitely be using this myself from now on! 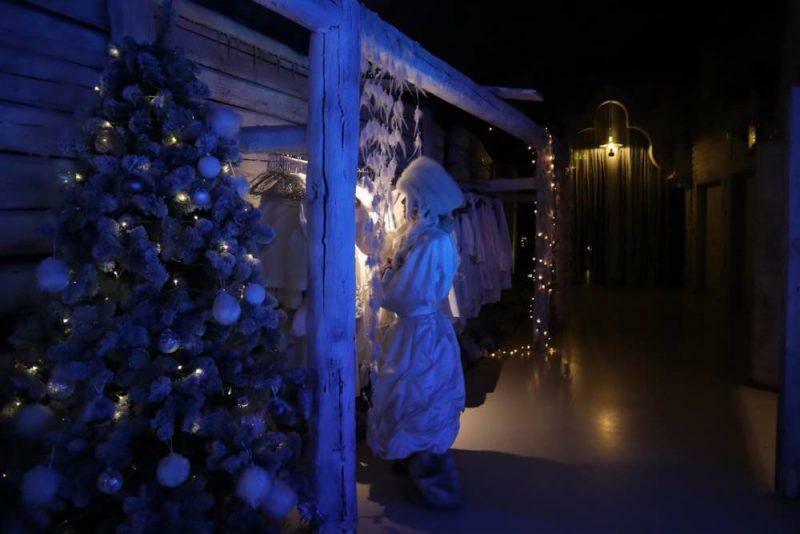 SantaPark is the only place in the world where you can go UNDER the Arctic Circle, which you cross to enter the magic world of the Ice Princess. She greets you at the door and provides you with warm jackets – as you’re about to enter into an ice cave that’s -10 degrees Celsius, the typical Roveniemi winter temperature!! The Ice Princess getting us some warm coats! 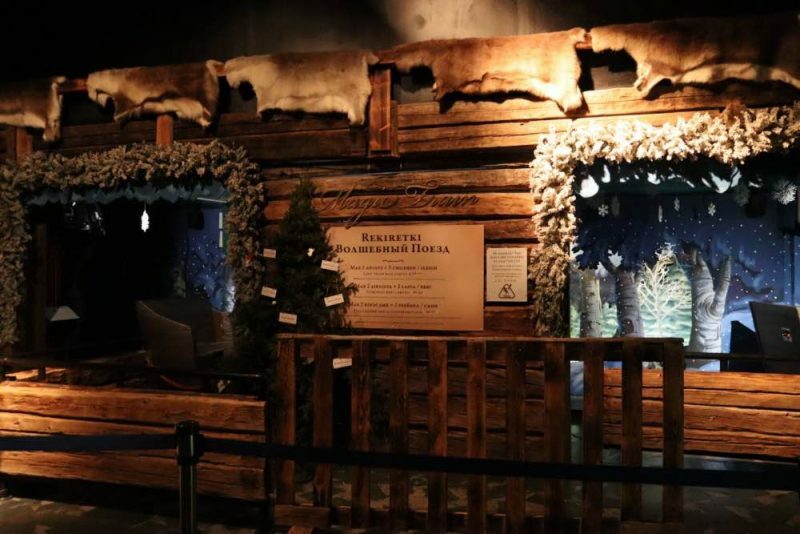 Inside her cave are a series of beautiful ice sculptures – reindeer, bears, huskies and seats made of ice lined with reindeer fur so you can sit. 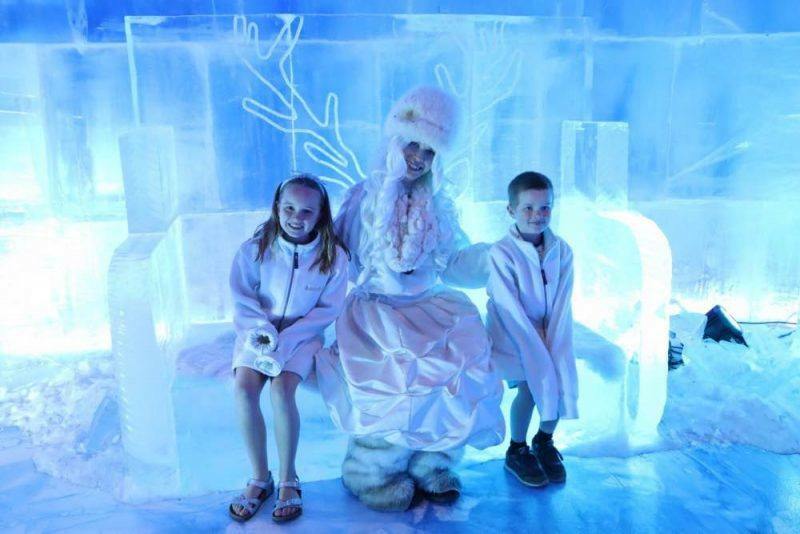 A seat carved from ice – the perfect place for a family picture! 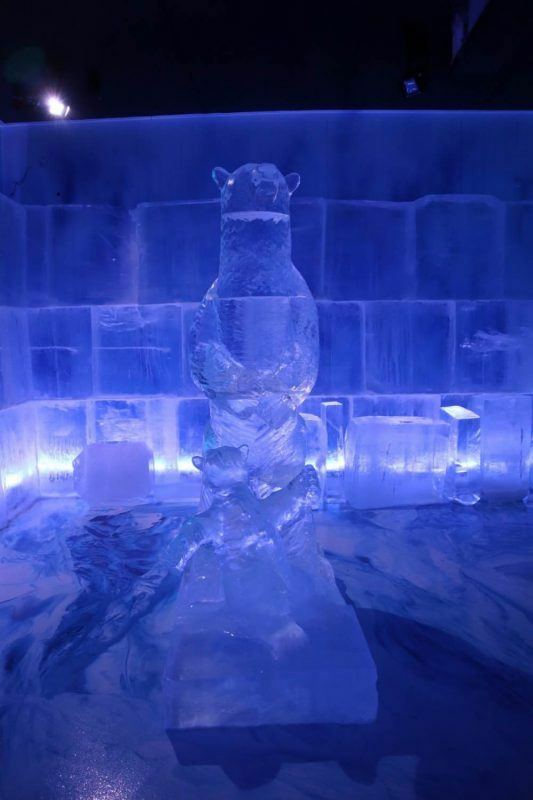 There’s also a bar where for 5 euros you can take a glass made of ice and try some of the Ice Princess’ special drink. Although expensive, it was quite an experience to drink out of an ice glass! This was something really unique and special, and the Ice Princess was probably the best actor we came across the whole day – they were all great but she really did portray an ethereal being very well! 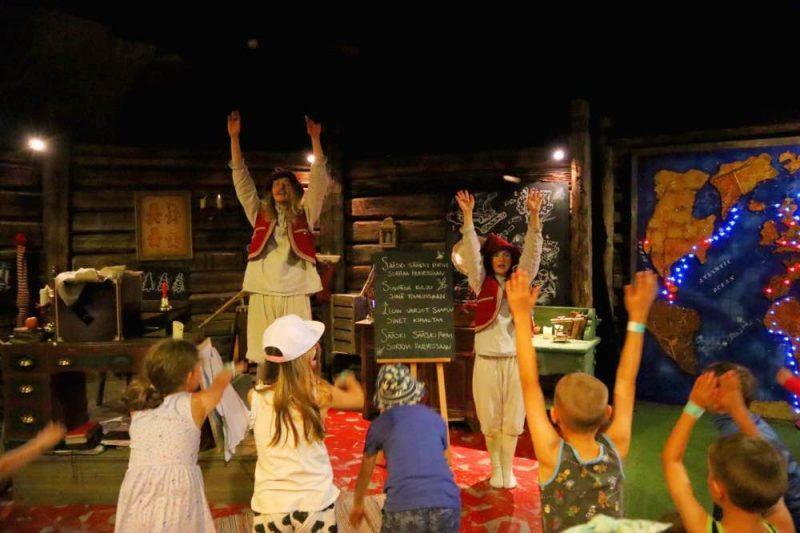 Summer Elf School was in session when we visited and was conducted in both Finnish and English. 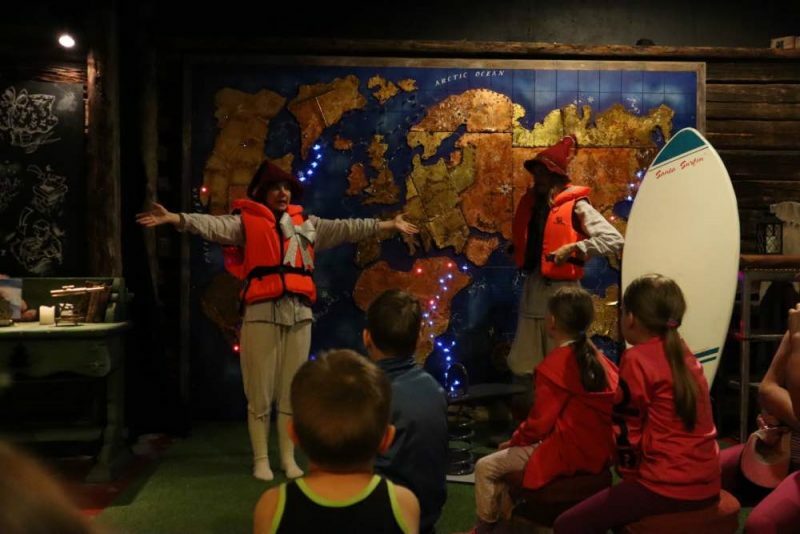 The Elves shared knowledge on summer safety (the importance of wearing a lifejacket), taught us some elf magic, as well as a song about mosquitoes (this was all in Finnish and super cute). It was an interactive session in another amazingly decorated room and our kids really enjoyed it. 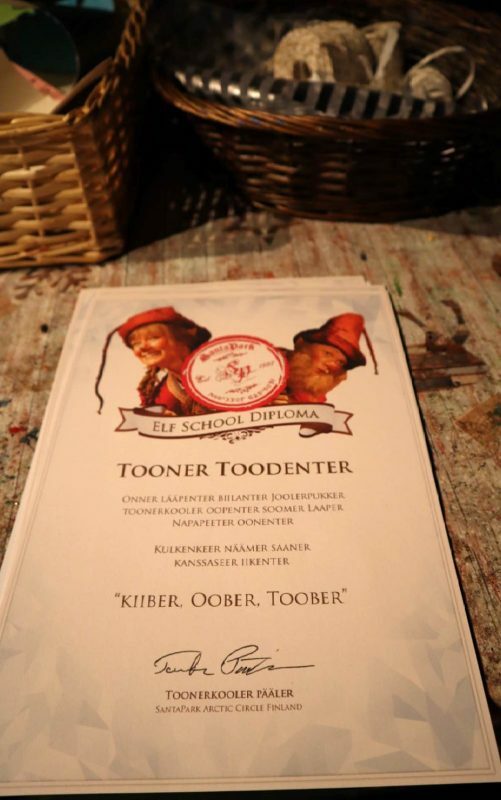 Upon exiting we were presented with our Elf School Diploma and Santa hat – adults too which was a fun touch. 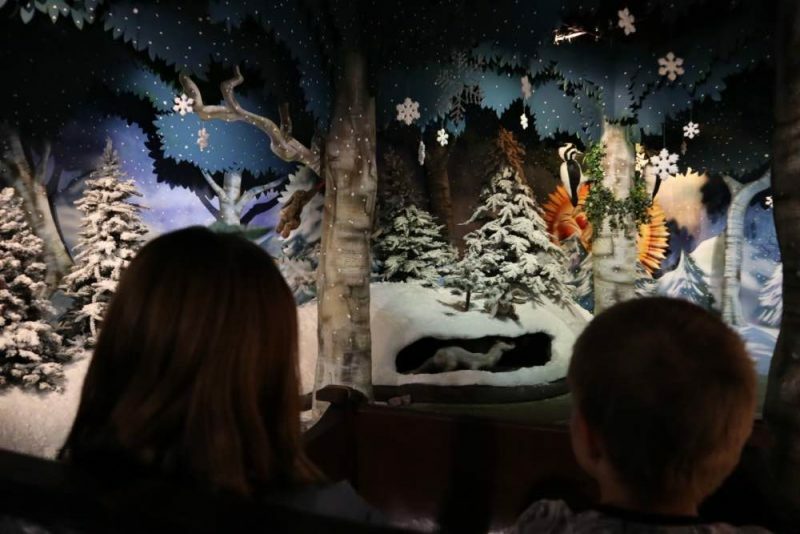 This was an old-fashioned style ride on rails through a Christmas wonderland and the Arctic wilderness, with plenty of elves, Santa, reindeer and huskies thrown in. There was also a small nod to the Sami culture of the region with some wigwams and characters in traditional dress. All aboard the Magic Train ride! It was a really cute ride and very suitable for smaller children. Kind of a bit like the ‘Small World’ ride at Disneyland but Christmas themed! 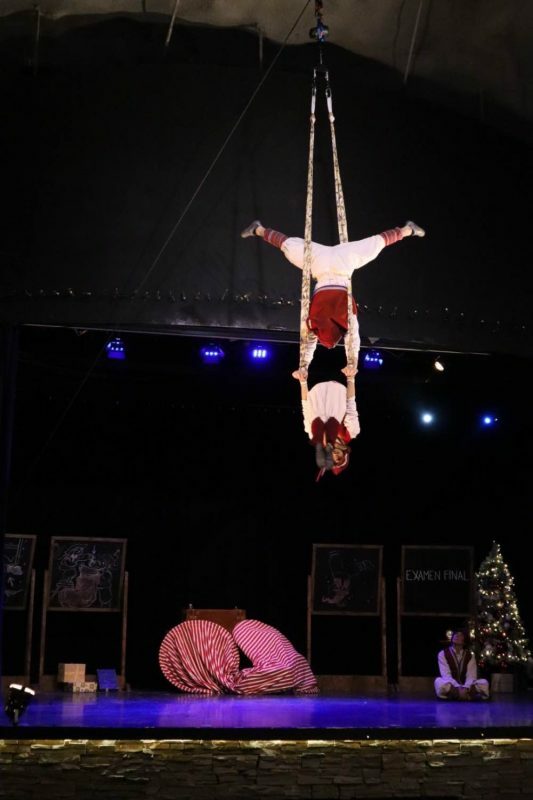 The main hub of Santa Park where the restaurant is has a stage where an entertainment show plays several times daily, and is a mix of acrobatics and visual storytelling about a group of elves taking their final Elf exam. 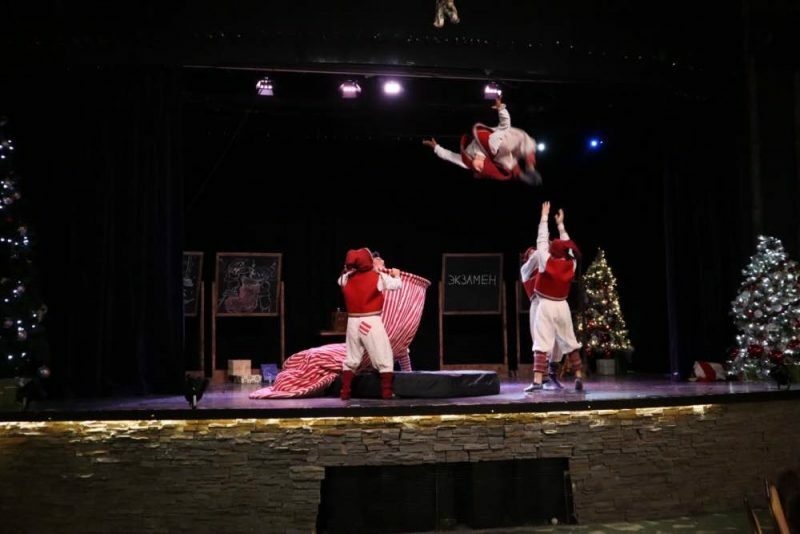 The acrobatics are very well done and the whole thing is in mime so there’s no worries about translations! The kids with the stars of the show! 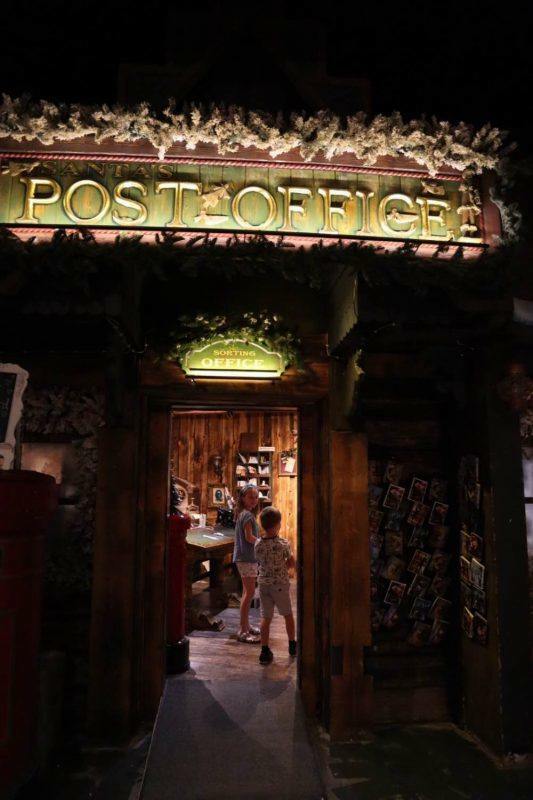 Inside Santa Park is Santa’s Post Office, where you can post a letter or postcard with an official Arctic Circle/Santa postmark on it. You have the option of posting it then and there, or if you like they will hold it for you until Christmas and post it then. Certainly a unique way of sending out your Christmas cards! 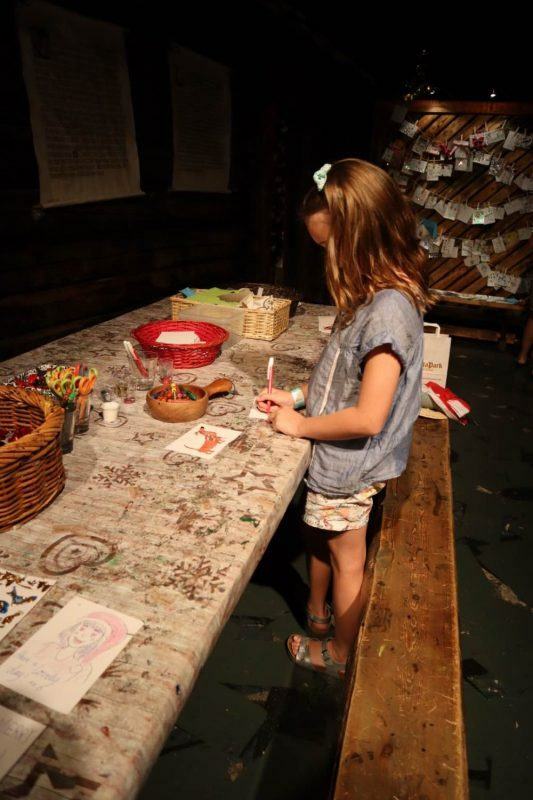 A couple of arts and craft stations are located around SantaPark. 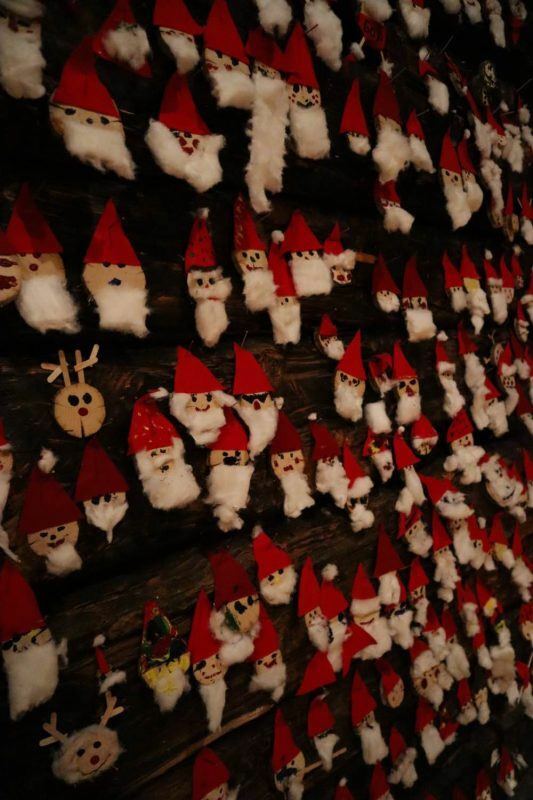 Our kids really liked making an Elf Christmas decoration from wood, felt, paint and cotton wool. There was also a clay modelling station where you could get creative with clay, polystyrene balls, pipe cleaners and fake eyes. We ended up with a reindeer and a cute hedgehog! Finally there’s a Christmas card station complete with glue, glitter, crayons, pens and stamps to let your creative streak run wild. Sophie was in heaven with this. Angry Birds is big in Finland and there’s a fabulous play park in Roveniemi itself – one of the best free playgrounds we’ve ever come across in our travels! 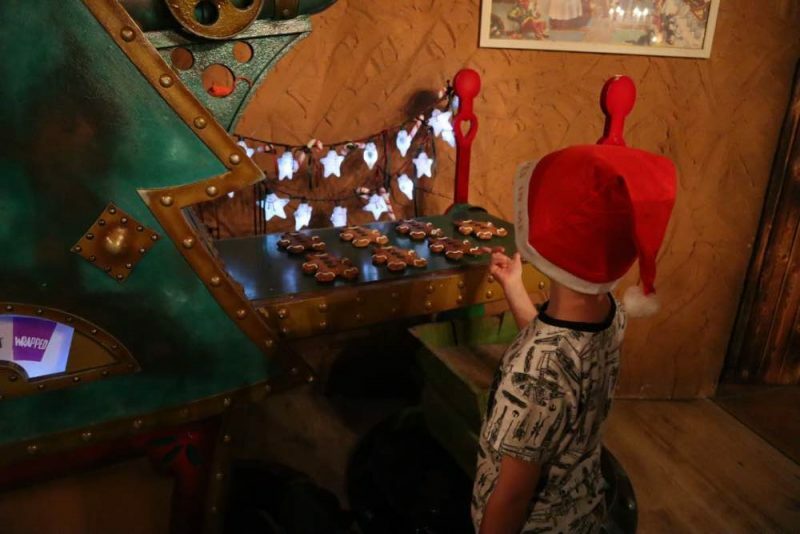 A smaller version is located inside Santa Park and is great for when the kids need a bit of a break from all things Santa and a bit of TNT instead! 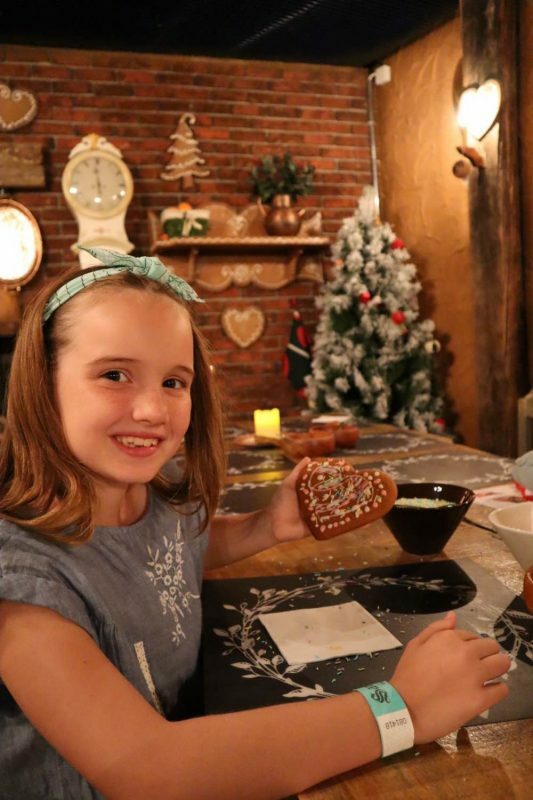 – A small cafe is situated in Santa Park, with coffee, sandwiches and snacks, but there’s no large restaurant. So if you’re super hungry, you might want to eat elsewhere first. – If you’re short on time you could visit in 2-3 hours but ideally at least half a day is best to get the most from your visit. 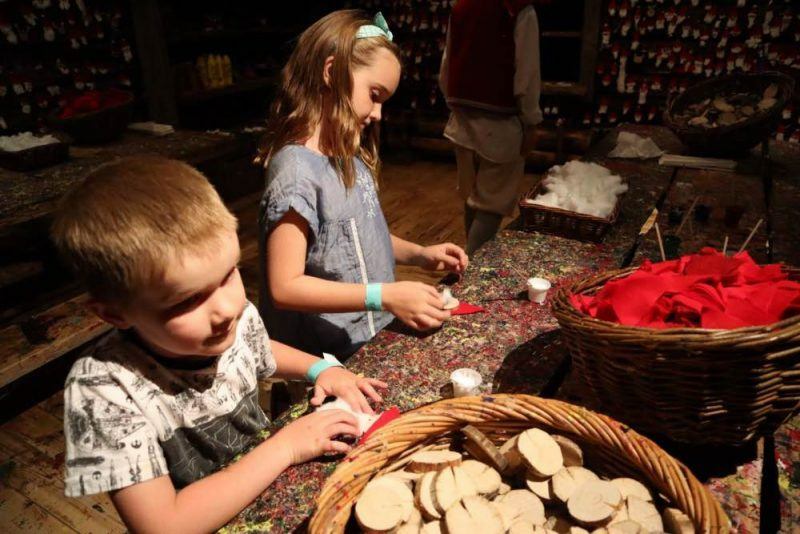 If your children are particularly young and you have time, you could even split the visit as the entrance ticket is valid for two days. – Be aware that there are some extra charges on top of your entrance ticket e.g. 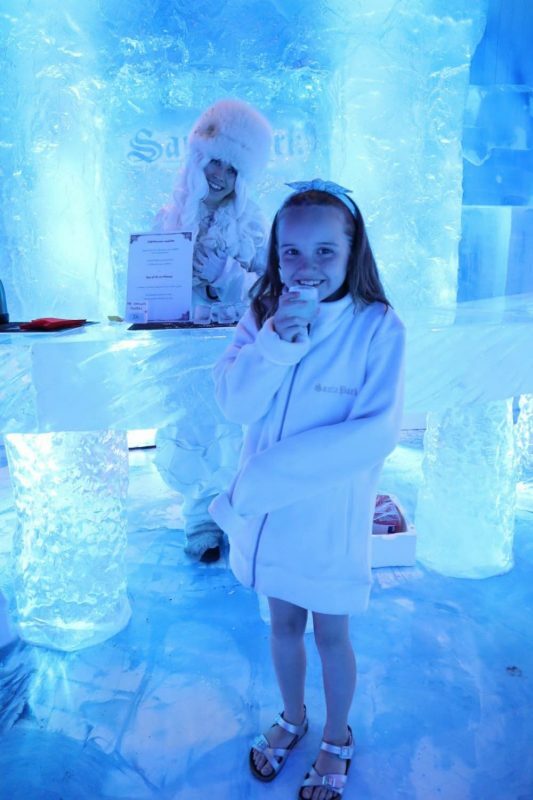 to decorate cookies, try the Ice Princess’ drink and purchase a Santa photo. 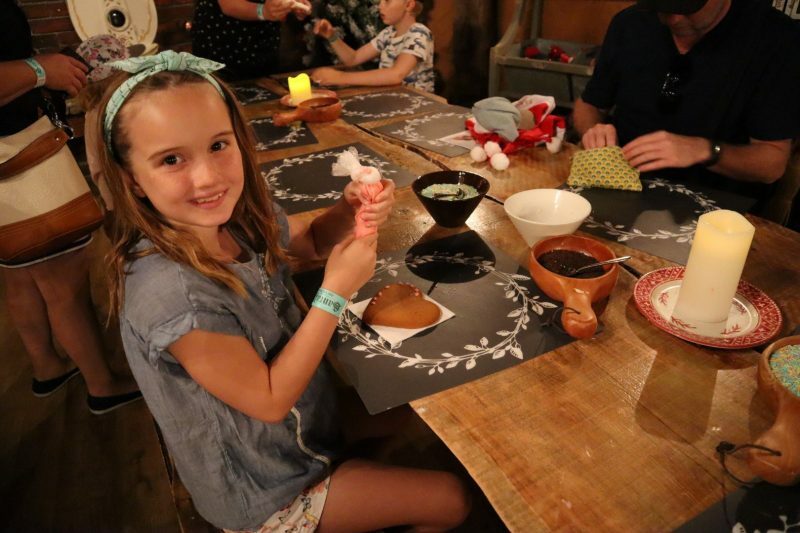 – There are also lots of things to buy – beautiful Christmas decorations, candy and some of the arts and crafts materials used in the workshops. – We visited in summer during the low season, but it would be absolutely magical in winter pre-Christmas. However it does apparently get very busy! We’re used to having Christmas in the heat due to living in the Southern Hemisphere but it might not quite be the same if you’re a die-hard white Christmas fan. 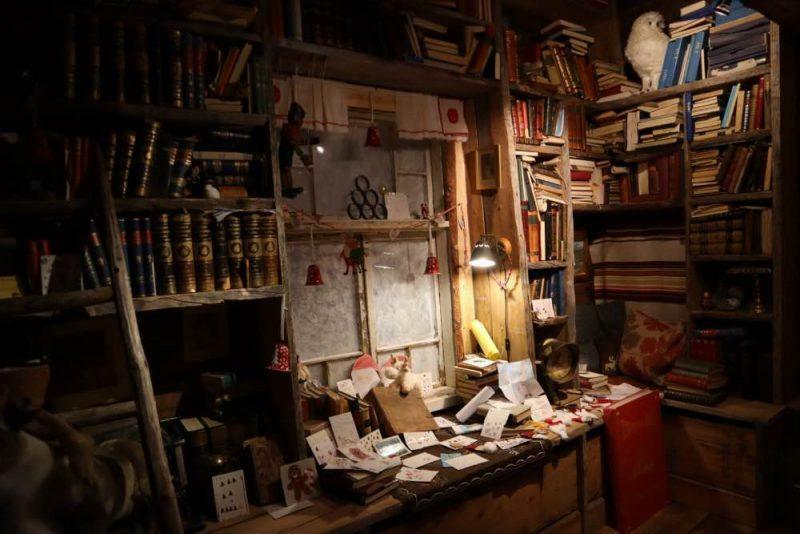 – To make for an extra special visit, you might like to consider staying right next-door at the Arctic Treehouse Hotel. The property is owned and managed by the same people and is truly luxurious. 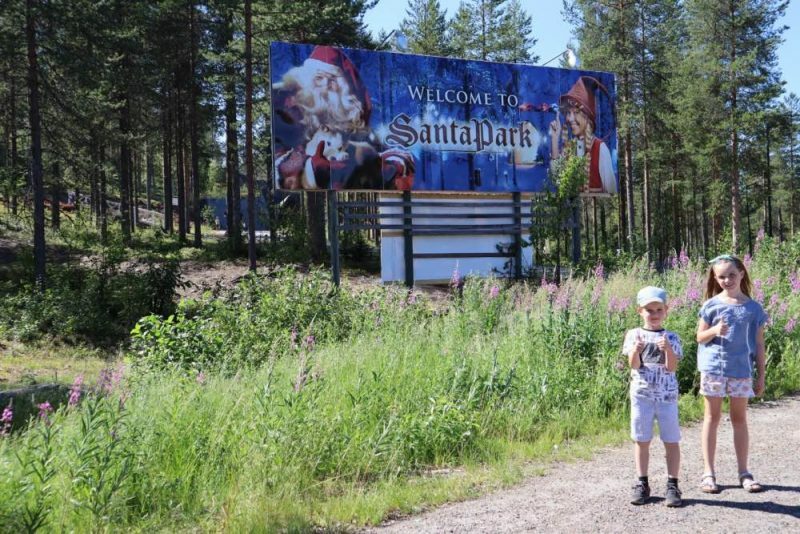 IMPORTANT NOTE: There are actually two ‘official’ Santa Claus’ at the Arctic Circle – the one at Santa Park and one just up the road at Santa Claus Village. 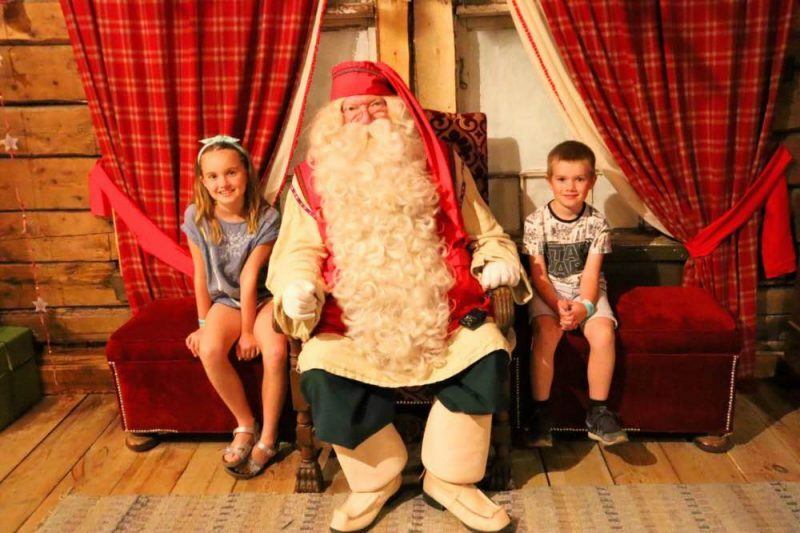 We didn’t realise and ended up seeing both – leading to some awkward questions from our two kids (we had gone on for months that we were going to see the REAL, one and only Santa Claus!) 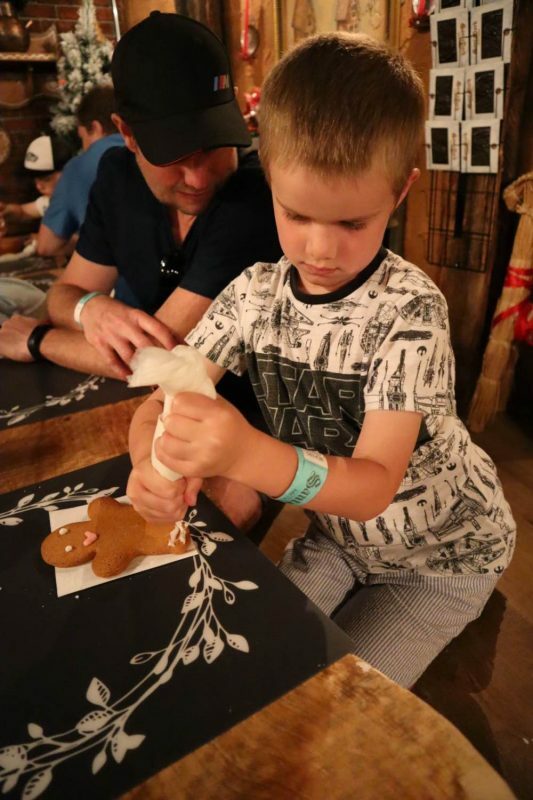 They declared themselves that the one at Santa Park was the real deal and the other guy was his helper 😉 So just a heads up – personally we also thought the one at Santa Park was better. 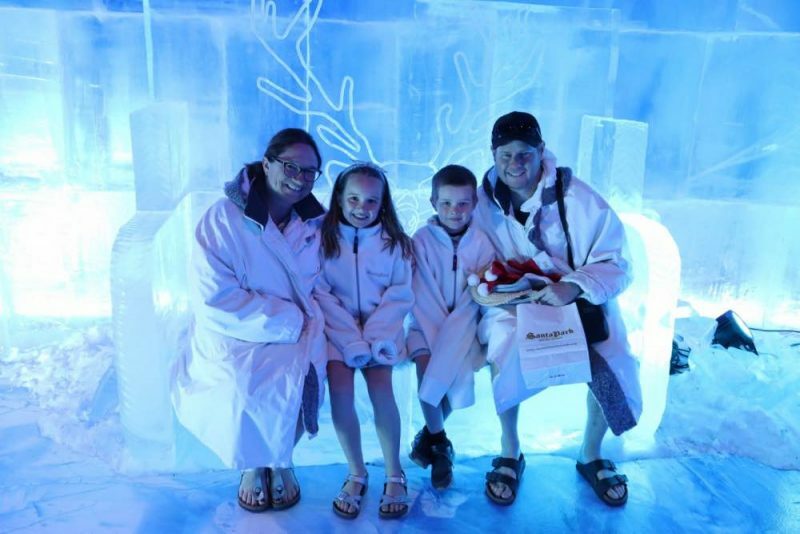 Santa Park Arctic World is a great place to visit as a family to experience the magic of Christmas – I would challenge even die-hard cynics not to get a bit excited about visiting! 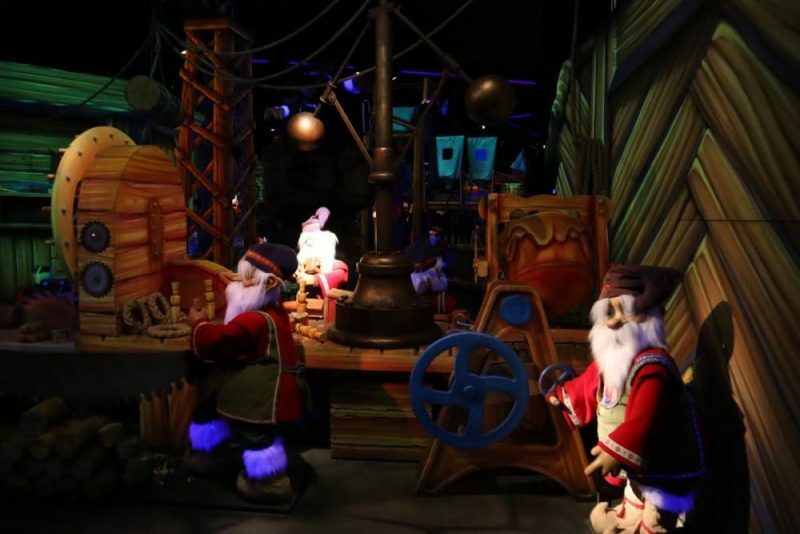 We were a bit dubious before visiting that it might be a bit tacky and commercial but the park is very well-run, has excellent props and the staff are all amazing in their obvious passion and authenticity. 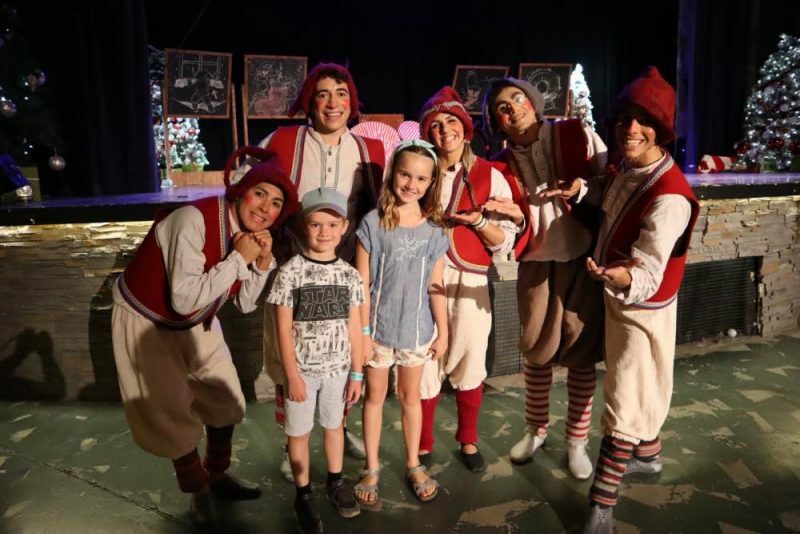 It’s a wonderful family trip to see your kids eyes wide-open at visiting Santa in his homeland and learning all about Christmas from elves themselves. I’d like to think it’s helped us cling onto the magic just that little bit longer from our rapidly growing up kids. We thought the park is good value for money considering all of the attractions on offer and the fabulous condition it’s presented in. 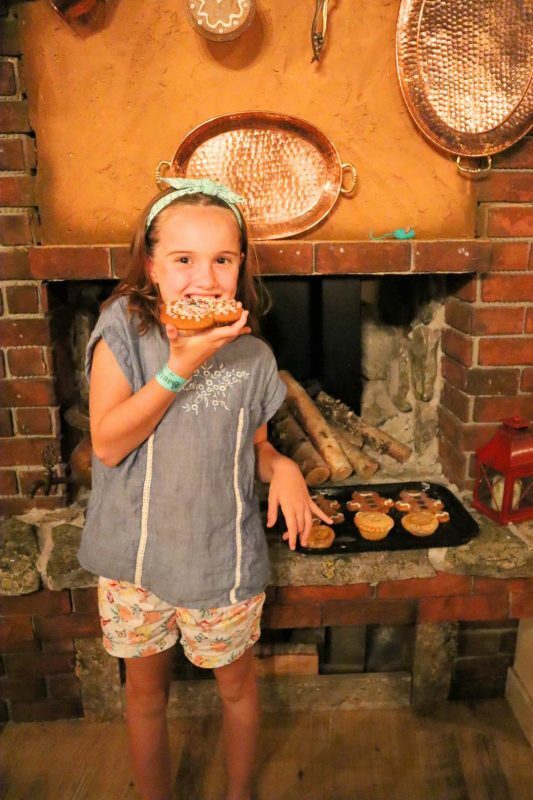 We’d highly recommend adding it to your family travel bucket list – a return visit in winter is already on ours! Disclaimer: We were guests of Santa Park Arctic World, but as always our opinions are entirely our own.